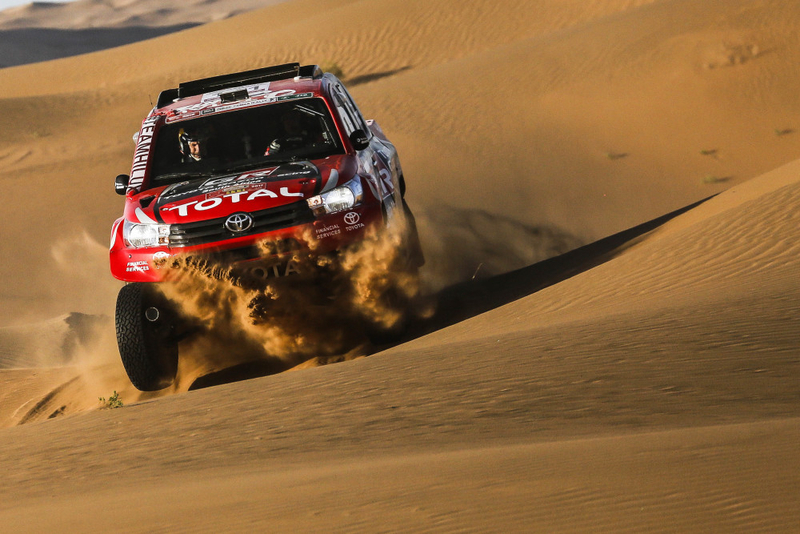 On the fourth 376 km long stage the competitors discovered the big dunes of the Badain Jaran desert. 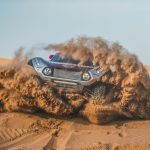 The route was designed as a loop around the bivouac of Alxa Right and featured 90% sandy off road sections with several dune crossings and sandy valleys and hiddden difficulties. Considering the terrain and the navigation, concentration was a must and the competitors were required to remain focused for most of the part of the 265 km long special stage. 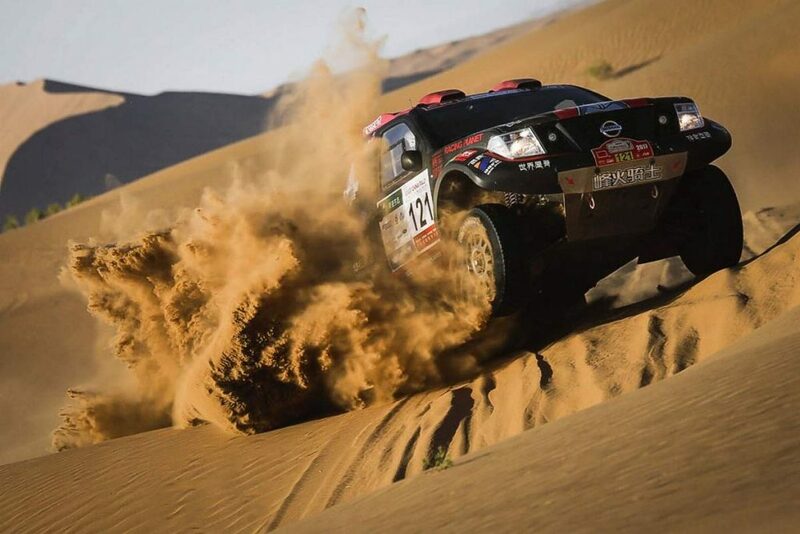 As on the Dakar, the knowledge of the terrain made the difference and the local hero, the 30 year old Aorigele (CHN) from Knight Club won the stage, his third success on this first edition of the Dakar Series China Rally with a time of 4h17m28s. “I’m really happy. 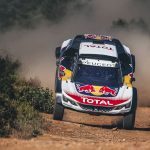 I’m not a professional driver and today I learned so much driving behind De Villiers”, said Aorigele, who started 17th. Second at + 8min, the winner of the SS3 Zi Yungang (CHN) from Shanxi Yunxiang Team confirmed the good performance of the previous day. Third at +8min07sec Giniel De Villiers (RSA) and best of the FIA classification. He was driving with a good pace, trying to close the gap on the general standing, when he made a navigation mistake. “It was a pity for the navigation mistake I made at the end because I was pushing hard and I could have won today. It was a beautiful but hard stage that required you to remain focused all the time. It is good training and a lot of sand!” said the 2009 Dakar winner. 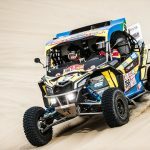 “We didn’t expect this rally being so hard”, added De Villiers co-driver Dirk von Zitzewitz (GER), “It’s really a good training for Dakar, especially for navigation and dune crossing. The dunes here are so different from Mauritania and South America, they are really demanding”. 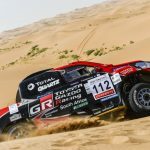 De Villiers remains alone to represent the Toyota Gazoo Racing team colours as his team mate, the Argentinian Lucio Álvarez didn’t take the start following the impact he had yesterday. “I’m really happy. Today I felt like on the Dakar! The level of the route is so good that I’m really excited and this is a common feeling at the bivouac. 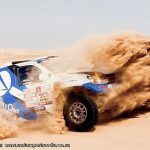 I did my first Dakar in 2005, switching my career from touring and rally car to cross country rally. 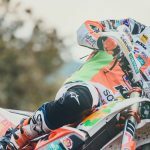 I have done 8 Dakar so far and I look forward to taking part to the 2018 Dakar in January as you cannot miss the 40th Anniversary”. The overall standing sees Zi Yungang leading in front of Aorigele (+3min44sec) and De Villiers (+7m04sec). 7th today Han Wei dropped in 4th place. 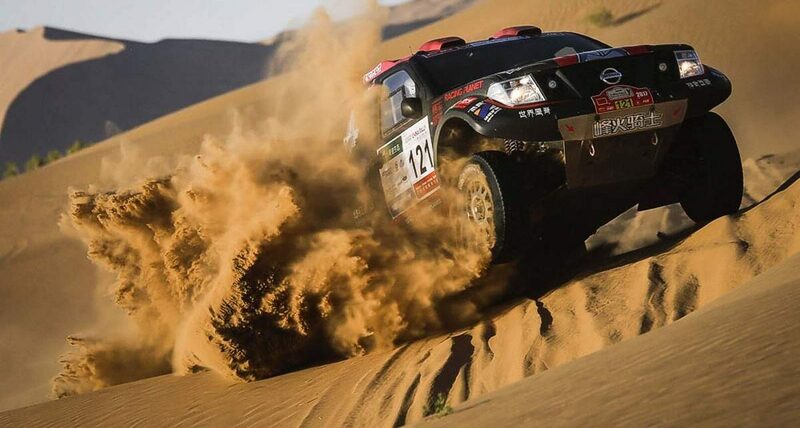 #202 Wuritunasheng from Zhengzhou Nissan Rich Pickup was the fastest of the T2 category, 23rd overall and leader of the T2 in the general standing. He finished ahead of #207 Zuo Xiaobing (Jaingxi Isuzu) and #205 He Xudong (Jiangxi Isuzu). The 90% sand stage was perfect for the Side by Side, that took advantage of all the potential of their machine. #212 Zhang Huijun (Xingjunyi China Gold E-business) was the fastest driver in the Side by Side class, 12th overall and is the leader for his class in the general standing. Behind him #311 Deng RenguI (Changchun Hanxiangwulu), made a good performance. He finished 2nd in the T3 and 18th today. Third of the provisional standing of the T3 class #320 Zhang Qiang (Xingjunyi China Gold E-business). #319 Su Baoheng (Chewukuangsha Nanzhengbeizha) made an impressive stage, finishing 1st in the Open class and 5th overall, just 20 min from the lead. Second 135 Li Jianguo (Beidaihe Brother Racing Club. Third #308 Fan Tingjun from Xiangyang Modern City Team. With Today’s result, Su is the leader of the Open class in the general standing. Tomorrow the competitors will take the start of the 5th stage, a second loop around Alxa right of 375 km (317 of special stage).